I followed Ed Brubaker’s Captain America until Steve Rogers returned during Captain America: Reborn. Rogers’ return was not great to put it mildly. 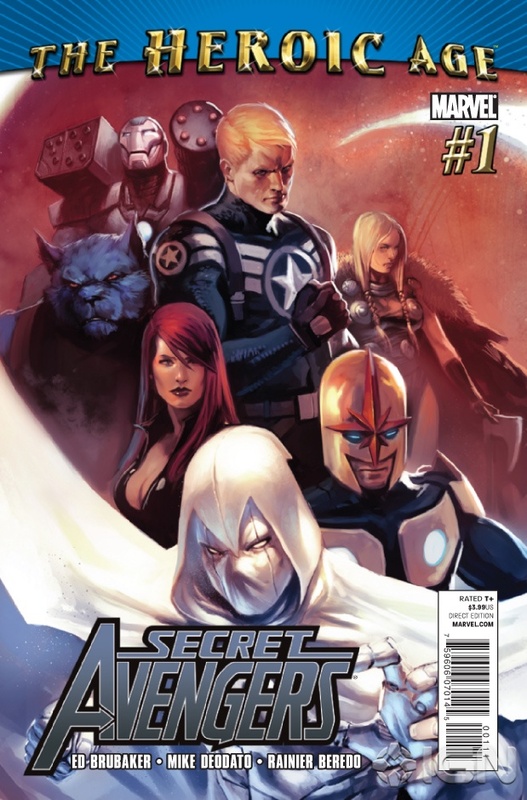 It was equal parts story and shipping schedule that hurt it, but I’m over it and I’m ready to enjoy Secret Avengers. Steve Rogers and Sharon Carter are running the show here and this is really Brubaker’s continuation of their story as Bucky Barnes has taken over the pages of Captain America. I did fall behind in reading as this book was shipping, but diving back into them made for some fun reading. Intrigue, an interesting cast and a mandate to protect the world from unknown threats combine to form something special here. 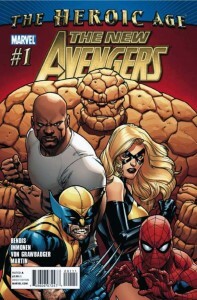 As Marvel‘s new Heroic Age continues to unfold, we’ve turned our attentions to the relaunched New Avengers #1 by Brian Bendis and Stuart Immonen. Issue #2 ships today and I’m not so sure it will be staying on our pull lists. PTB: I really like the art in this book, but I’m not sure how I feel about the content. 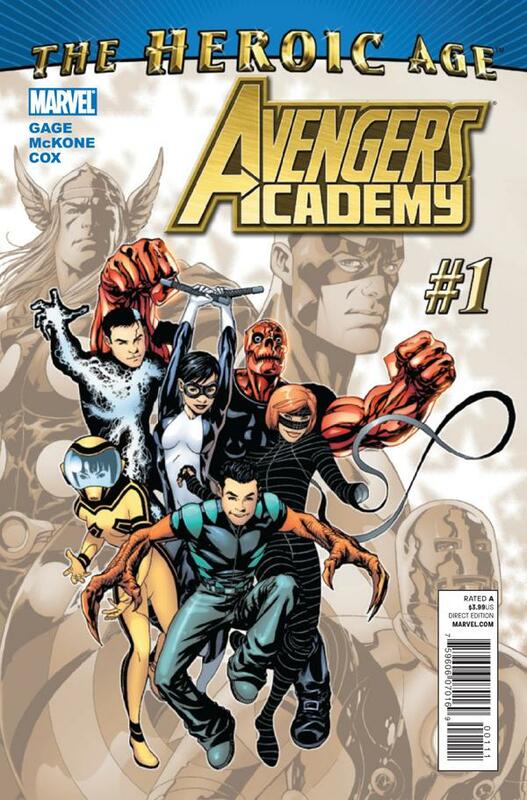 Where this team fits into the new status quo is interesting since they’re using the old mansion and free from Iron Man and Steve Rogers, but I don’t like that there’s overlap with this line up and the Avengers title. KevinMLD: Yeah to me this is a really redundant title. 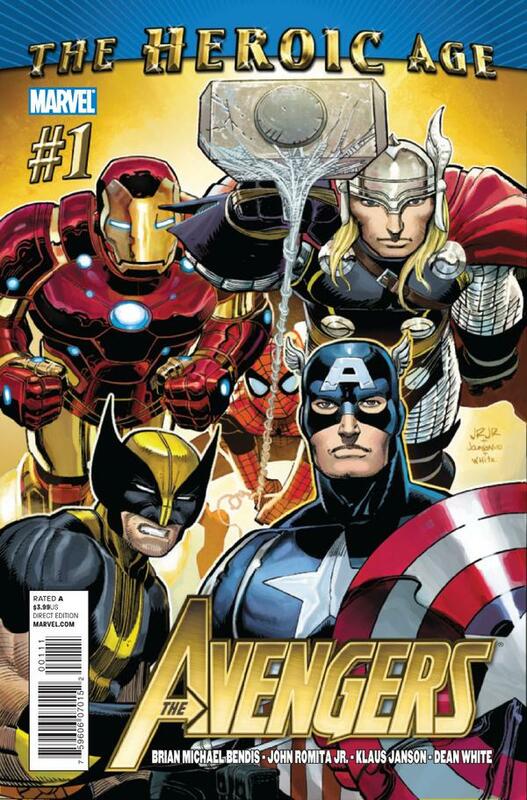 It almost seems like it should have been a miniseries that ends with Spider-man, Wolverine, Cage and whoever else learning to trust Stark again and rejoining the main team. Our discussion of the new Avengers titles launching as part of Marvel’s Heroic Age continues with Secret Avengers #1. 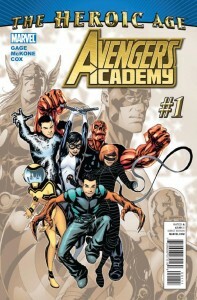 This was a book both of us were looking forward to for different reasons that you’ll see below along with spoilers for the issue. PTB: I liked this. It wasn’t what I was expecting, but to be honest I wouldn’t know how to describe what I was expecting. Steve Rogers plan to eliminate threats that the world doesn’t or can’t know about could be a great spin on the character and the Marvel Universe. I was questioning whether this was something that made sense for the character, but the reference to Cap’s experiences in World War II and having just read The Marvels Project got me over that. After all of discussion of Thunderbolts earlier this week, PTB and I thought it might be fun to discuss all of Marvel’s Heroic Age launches beginning with the centerpiece book, Avengers #1. Spoilers ahead. 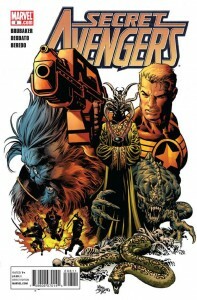 PTB: I enjoyed Avengers #1, primarily because of the inclusion of Kang the Conqueror. I don’t know what it is about that character, but I’m a fan. KevinMLD: i don’t really know anything about Kang except that he’s a guy that you have some like nostalgic appreciation of… Oh and that he’s a time traveler of some sort. PTB: He’s a time warrior!